Seriously? OMG! WTF?America's Got Talent Archives - Seriously? OMG! WTF? 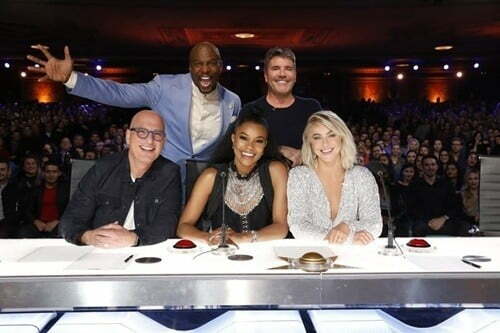 Mel B is currently filming America’s Got Talent. When the season is done, she will fly back to England and check into rehab. She told The Sun she was recently diagnosed with PTSD stemming from a past abusive relationship. She explained, “I am being very honest about drinking to numb my pain but that is just a way a lot of people mask what is really going on. Therefore, she will be getting herself the help she needs, so she can be the best mom to her daughters. Remember when we never everyone’s name from Glee? And now you never see any of them anywhere? Well, we saw one of them tonight on America’s Got Talent. Noah Guthrie, who played Roderick Meeks in 2015 on the musical comedy, sang Rihanna’s Love on the Brain. As amazing as he is, his raspy voice reminds me of Macy Gray. Maybe the next time he is on the show since he advanced to the next round, he will sing something from her like BOB. How bitchin’ would that be?